Anonymous SMS is a mobile/cell phone text message that can be sent from any international number, or if you wish a name. Sharpmail allows you to send Anonymous SMS text messages to any global destination. This unique addition is one of it's kind from Sharpmail, one of the first servive providers. All Anonymous SMS text messages are instantly delivered or delayed until a time and date you specify. Delivery Reports are updated in real time in your personal SMS outbox. Sender information can contain up to 16 numeric digits or 11 alphanumeric characters. 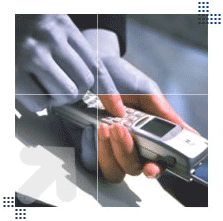 The maximum limit to the Anonymous SMS text message is the industry standard, 160 characters. We enable longer spoof sms messages using Concat SMS. We also support Unicode SMS (UCS2) to send messages in foreign characters. Unicode will reduce the limit of each Anonymous SMS text message to 70 characters. Sharpmail: The original solution to anonymous SMS. Includes FREE Anonymous Email editors, enhance your anonymous SMS with a fake email!